Warm like a hug, woven in tapestry to last forever, our photo blankets will become the most treasured gift ever. Click the create now button, upload a photo, add text and borders at no additional charge and our professional team of artists will edit and weave a lifelong woven memory. Soft Luscious feel with a quality and texture that only comes through weaving. The translucent appearance of a Curved Portrait creates an illuminating effect that is absolutely breathtaking. You can arrange photographs in a collage on the panel to showcase unique and vibrant works of art using our easy to use workshop. The Curved Portrait would make fantastic, eye-catching display pieces for lobbies or studios. Gives photographs an illuminating affect that is absolutely breathtaking. 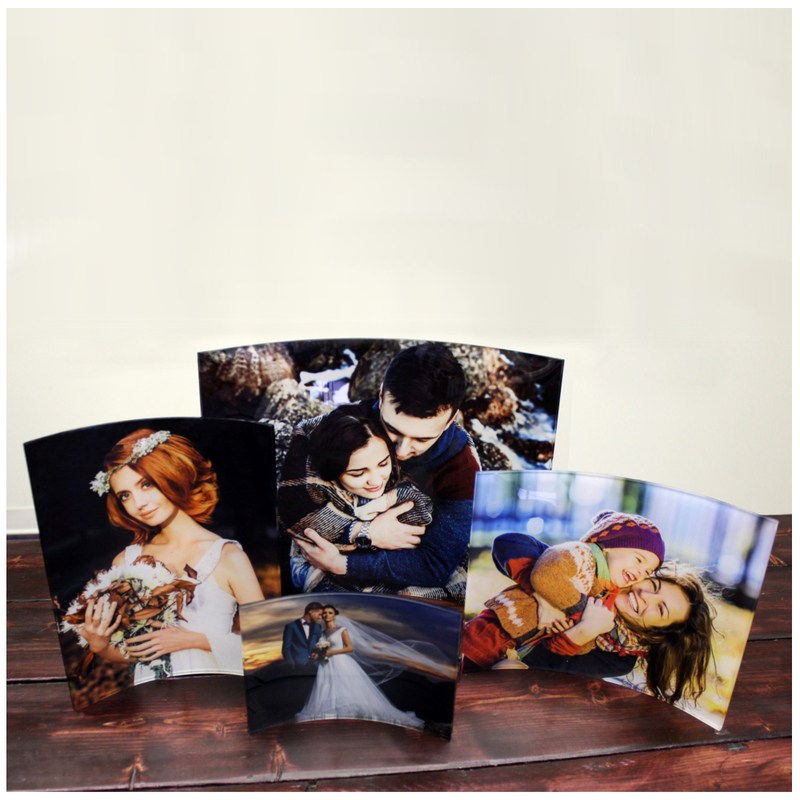 Photo Blankets make the PERFECT gift! Words can’t describe how beautiful the blanket that I purchased is. It was a gift to my mother-in-law. The picture was of my dog that recently passed away. She cried when she opened, as a matter of fact ,I cried when I opened it when it was delivered. I fully intend on purchasing more blankets from photo throws. THANK YOU!!! These throws are incredible! I purchased a total of 5 and each person I gave them to absolutely loved it! I ordered them on Dec. 18th and had them on the 23rd. My cousin likes the one that I gave to my aunt & uncle so much, that she is buying one for her mother in law! If you are looking for the perfect gift, THIS IS IT!!! 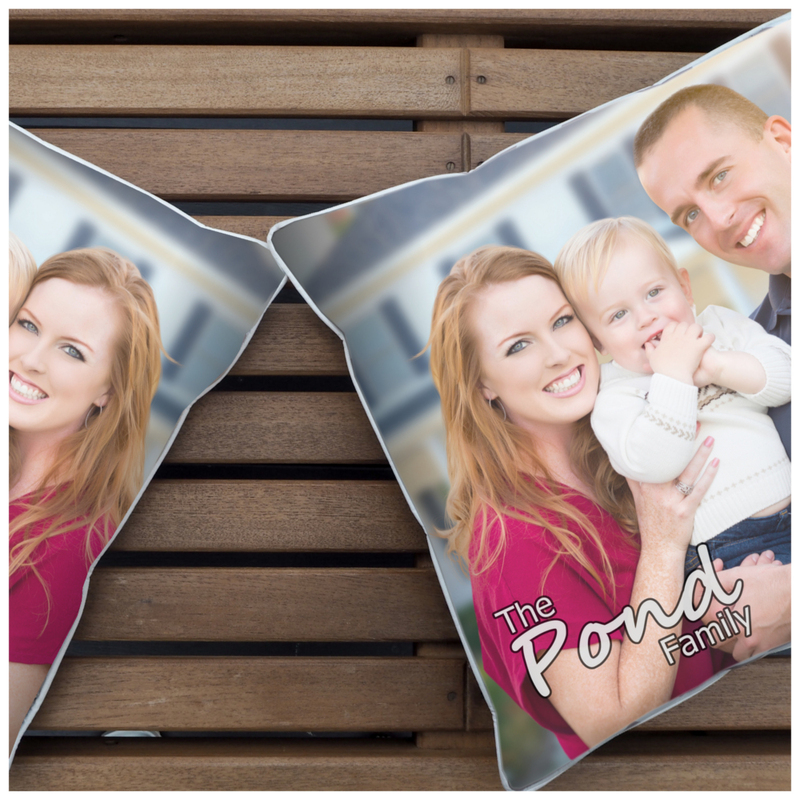 Awesome!We lost our son one month before graduation and I ordered a throw with one of his graduation pictures (his favorite) for my wife for Christmas. Not only did most of my family cry when they saw it but most of his friends were blown away! To say that the work is outstanding an understatement. I am ordering another one with the same picture for family! Thanks Kate for the fast service and outstanding product! What a wonderful gift. We just received our photo throw and it is terriffic. Love the colors, love the shipping. We ordered on thursday and got it on tuesday. We are ordering more for Christmas. When you get one, you’ll understand. I received my FIRST order today. I am combing through my photos tonight looking for more that would be good as gifts to others. My co-workers saw the blanket I got today, and asked for the site immediately. The blanket is beautiful, and will be a very meaningful Christmas gift. My daughter was overwhelmed. She has a December birthday and always feels cheated at Christmas. We deceided to give her a blanket with her baby on it. She cried and cried. This is truely a wonderful gift. It is amazing. Oh my gosh. I just received my photo blanket.It’s beautiful.I can’t stop starring at it. And I got it back in one week.How did you do it so quickly? I can’t wait until Christmas to give it to my mom.You all did such a marvelous job on it. The picture came out excellent.It never lost any of its color.Thank you 100 Proud American Workers.I will be sending in another order real soon.Thank you. Thank you. we got our photo blanket today and it is fantastic. I like the large size and the picture image is realy great. we will tell our friends. I love this product. I gave my wife a photo blanket of our black lab that passed away this past year and she absolutely loves it. The product itself is high quality and the picture has very good resolution. As a gift it blew her away, she was so happy to have a blanket to commemorate Henry (our black lab) that she was to the point of tears. Thank you so much! I ordered one of the throws after hearing it advertise on a daily radio show that I listen to every morning. When I received it, after only a few day, I was amazed at it and immediately ordered another one for another family member. They are awesome and you won’t be disappointed. I just received my blanket today, and I was completely overwhelmed, I just cried at how very beautiful it is and how true to the picture it looks, I am so very happy with how it came out, I wanted to make sure Kate K gets a big thank you too for helping me with the order and being so patient, thanks again !! I just wanted to say Thank You so much for helping me order my blanket. This is the 3rd time we have ordered a blanket and they are absolutely gorgeous. I will definately recommend you to everyone. Merry Christmas! I heard about this company on the morning radio show as I travel to work. My mom’s very special cat passed away a few months ago. I decided to have a blanket made for her for Christmas, since she is so very hard to buy for!! I recieved it today and I LOVE IT! I have shared this will all of my co-workers and they are overwhelmed with the results, as was I. I can’t wait to see my mom’s expression when she opens this present!!! I received my tapestry blanket today after only placing my order less than a week ago! I am delighted with the results! The throw far exceeded my expectations! I know my husband is going to be surprised and thrilled with his Christmas gift. I am going to tell everyone I know about the beautiful work you do and the speedy results! I will be ordering more throws in the months to come! Thank you so much! I can’t wait to see my husband’s face on Christmas morning!!!!! My wife and I are foster parents, and we have been looking for a way to keep memories of all the kids that come through our house, and i just found it. Greatest gift ever, thanks guys! My husband took my favorite photo of our grand-daughters & had it put on a blanket. I absolutely love it. Great work. He really surprised me with it & that’s hard to do. He heard about it on a radio advertisement. Thanks. I was looking for a photo blanket, and your site came up in my search! I took a chance and ordered the basic photo blanket for $99.00. I was totally surprised when it was delivered about two-weeks later (no six-week waiting period!). The blanket was so much more then I ever would have imagined it to be! I know that my”newly-married” son & Daughter-in-law will love to see their favorite honeymoon photo on this throw. I am already looking for another perfect picture for Photoweavers to do their magic on! Thank you so much!! Thank you for expediting the tapestry. My brother has always admired a tapestry I had woven for my mother several years ago. He now has his own that includes the Navy insignia of which he is so proud. Thank you for the care you took in completing such quality work. My Mom and I stayed in a wonderful Bed and Breakfast in Missouri, and I wanted to get something nice for the owner. I took a picture of the home and had the name and location at the bottom of the blanket. I had it sent to me first so I could include a thank you note before I sent it to her. I am so glad I did, because it turned out beautiful!! I hope she likes it as much as I do. Thank you so much. My daughters’had a blanket made for Mother’s Day and it was the best gift I could have ever received. It was a picture of our family, my husband and myself and the girls when they were 18 months and 5 years old. It is something I will always treasure. Thank you and my daughter!!! I purchased a photo throw a few years ago for my sister and brother-in-law for Christmas. I found a picture of their son that was taken when he was just a little boy (he is now 31 years old). The picture and the background came out so vibrant on the throw we could not believe just how beautiful it was. It is displayed in her living room for all to see! The quality of the throw…the beauty of the picture…will last a lifetime!!! Thank you! I don’t want to participate in your latest contest, but just tell you probably the most unusual comment you will get from a throw. The picture you used for my throw was made of our just- two-year -old-Thai baby on a beach in Thailand where we were celebrating our 50th wedding anniversary that summer with our complete family. He is wearing a Giants baseball team Tee shirt. I had the throw made for him and sent it that Christmas (2006) for him in Chiang Mai, Thailand where he lives with his Thai mother and our American son. His response upon opening the package was: “will he talk to me?”! I love my throw. It is a picture of my dog Maggie who past away at the age of 13. I miss her very much but when I cover myself with the throw, I feel that she is still with me. Thank you for the comfort this throw gives me. I bought a photo blanket http://www.pictureweave.com, of my grandson and his dog. They live a few hours away so I am going to start a tradition of getting a throw done every year to watch him grow. I think it will be a good measuring stick so to speak. We have an adorable blanket with our three oldest grandchildren on it. Maybe I’ll get another one so we can add our new baby granddaughter to the group. I recommend this company highly. It came out better than I even expected. A souvenir for a lifetime. 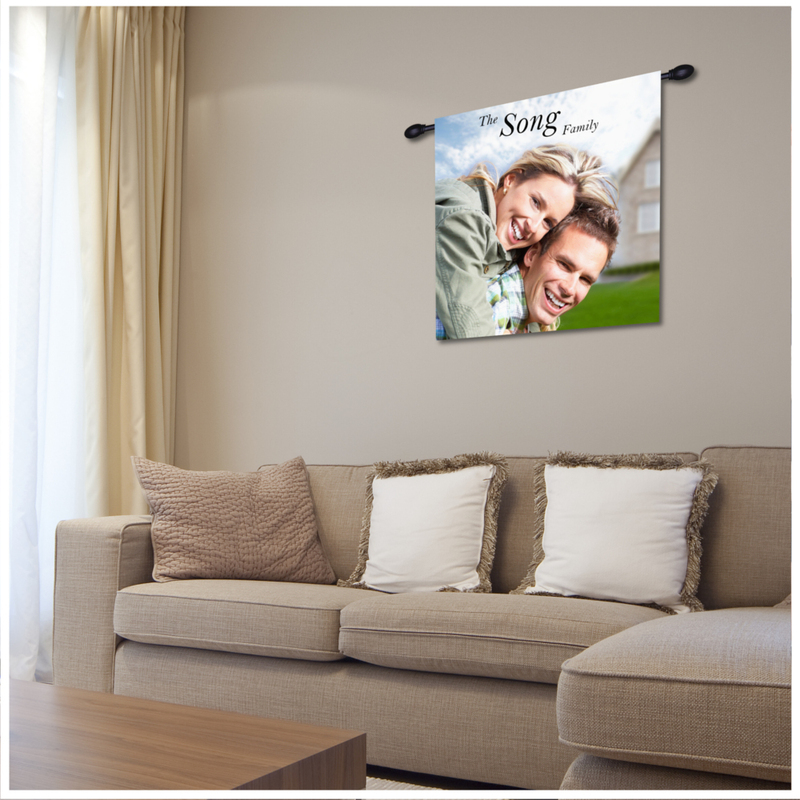 I was so excited when I saw the photo throw blanket listed on Groupon.com. I immediately knew what picture I was going to use. My excitement only grew when I was reading about the company and I found out that they are based in North Carolina which is where I live. I placed an order for two blankets and they arrived today (less than a week after I placed my order). The quality is amazing and the picture clarity is far better than my expectations! I am already planning on ordering 3 more for christmas presents. I LOVE THIS COMPANY!!!!! Thank you guys so much for all of your hard work and dedication. I have no doubt that my family and I will enjoy these blankets for years to come. I ordered this using a Groupon deal. I have a 2.5 year old son and thought a photo (or two or three) would be perfect on a blanket for his great-grandparents. My thoughts: “Well, I don’t think it will turn out too great, being photos and all but… it is for the great-grandparents. They will love it no matter what!” I received it today and am blown away at how perfect it looks. I had no idea it would turn out like this and am so impressed! Thanks! Thank you so much for your wonderful products!! t to order one too! Wow! We just got our woven blanket, and it’s even better than we thought it would be! The picture is beautiful, the weaving is top-notch and the blanket is so warm and snuggly! We’re going to order several more of these great woven gifts for Christmas! Fast shipping, too! A+! Can’t recommend you more! I am sooo happy. The throw arrived in less than a week. It is sooo beautiful. i cant tell you how much i appreciate the photo blanket. It is just too good to be true. WOW. I got my photo blanket today and I ordered it last Tuesday. It is beautiful. It is so big. We have it on our couch. I showed both my neighbors. They are ordering one tonight. Thank you for the great photo blanket and thank you for the great service. I love my blanket. I got it so fast and it looks so great, better than the picture. I will tell my friends about this. You are the best. THANK YOU! THANK YOU! THANK YOU! THANK YOU! I gave this to my mom as a birthday present. It was a picture of my kids (her grandkids) she cried tears of joy and said about 100 times that it was the best gift she had ever received. I can’t thank you enough for making such a beautiful product!!! This company is the most impressive I have ever dealt with — bar none!! I ordered my photo blanket on Sunday, November 30 and had the completed product in my hands on Friday, December 5! The blanket is absolutely beautiful — better than I expected — excellent quality and workmanship. I highly recommend this company. I am certain to purchase more from them. It is clear that these people take great pride in what they manufacture. “Made in America by 100 proud American workers. Thanks!!! I found them through Groupon, which I frequently use and bought one as a gift. I had one ordered as a Christmas present for my brother that just had a baby in Tennessee. It was right before Christmas and I wasn’t sure if they would get it to them on time. I just talked to my brother and he is ecstatic! Amazing keepsake that they will have forever. Lining up the photos on the computer and customizing the blanket was simple! I talked to the company one time about hoping to get it there by Christmas, and he said they were working around the clock to get it done. I even changed the address of where I needed it to ship. Great experience, great quality/ product, I will definitely let people know of my experience. Thanks Photo Weavers! My mother has been gone over 20 years, but my dad just recently passed away this spring. This was our first Christmas without him. I purchased one of these with a photo of my parents in the early days of the marriage for my brother, my sister and me for Christmas. Their response was overwhelming. The blankets are beautiful and will go a long way in helping my family heal. Thank you. Wow! They did an amazing job on our blanket! We had some text from a very old document (pre-revolutionary war) that they transformed into an amazing woven blanket. Seems very well made and “substantial.” “Dennis” also was a great help in my being able to correct a mistake I had made during initial upload of the image. A very quality product at a very reasonable price! Recently purchased a blanket with Cherilyn Morgan and it was the best gift! The quality is fantastic, the colors make you stop in your tracks, and it’s warm comfortable blanket that Cheri loves. Thank you so much. You CANNOT go wrong with these! I have ordered several over the past two years as gifts and they are AWESOME! The website to order is so easy to use and the quality of the product is top-notch! Way to go PHOTOWEAVERS! I love you guys! It is the PERFECT gift! Our friends just recently sold their beach house that they dearly loved. We had a picture of the house that we used on the blanket with the beach theme. It turned out better than we could have ever imagined. Our friends absolutely loved it!. We ordered it right before Christmas and were concerned that it wouldn’t arrived on time, but Dennis assured us it would and it did. Thanks so much!